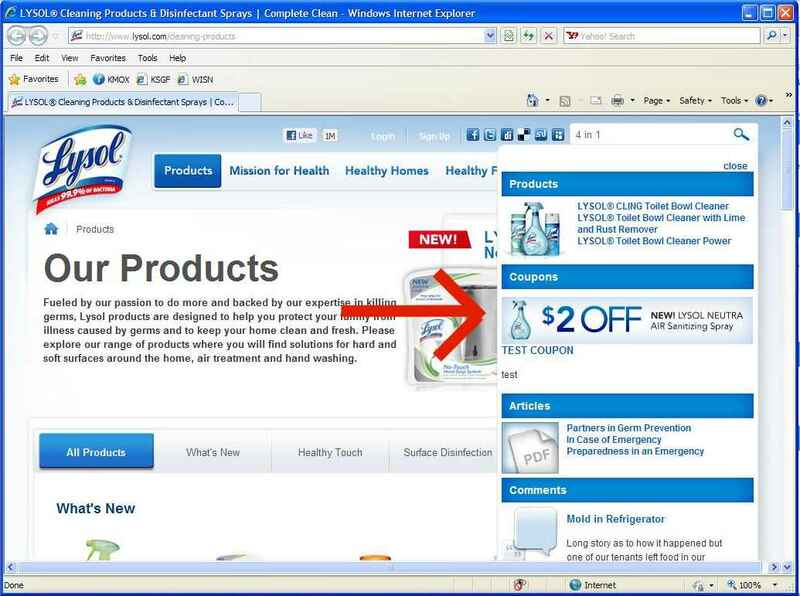 It’s a test that I passed, but Lysol’s Web team failed. Go to the Lysol home page, type 4 in 1 in the search form, click Search, and…. Oopsy daisy. Good to see they have a quality assurance team that checks things in production to ensure this does not happen. By the way, don’t click it hoping to find a $1,000,000 coupon. It leads to a 404. You want $1,000,000, you buy a lottery ticket like the rest of us. This entry was posted on Tuesday, September 13th, 2011 at 10:10 am by The Director	and is filed under Failed Web sites. You can follow any responses to this entry through the RSS 2.0 feed. Both comments and pings are currently closed.